More details are coming out about the SUV that went off a cliff in Northern California on March 26. Jennifer and Sarah Hart, both 39, and three of their adopted children, Markis Hart, 19; Jeremiah Hart, 14; and Abigail Hart, 14, have all been reported dead. 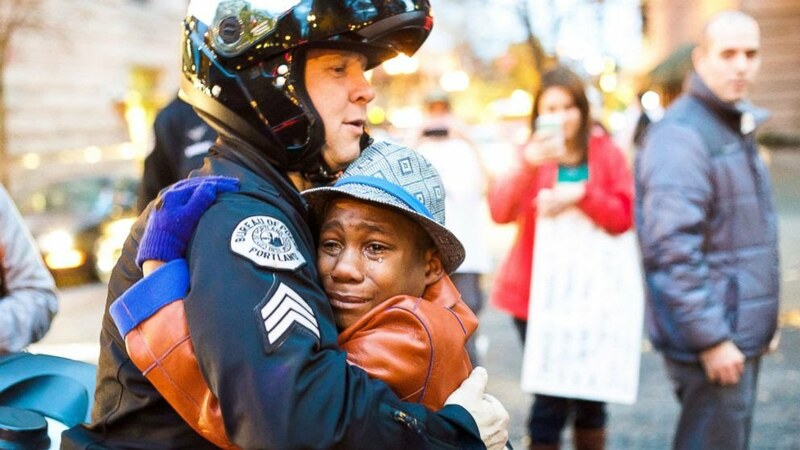 Their three other adopted children are missing, 16-year-old Hannah Hart, 12-year-old Sierra Hart and 15-year-old Devonte Hart, who is known for a viral photo in which he is hugging a police officer in November 2014. A body of a Black female was found in the ocean and not far from the crash site, which authorities believe is Hannah or Sierra, but are awaiting the results of an autopsy. The family lived in Woodland, Washington, near Portland, Oregon, and were reportedly on a road trip, though Child Protective Services had been trying to reach them for days. As we reported previously, there were countless reports of abuse, which dates back to 2008 and despite a handful of 911 calls by neighbors, no one at Child Protective Services took enough action to save the lives of children who were crying out for help.